UPDATE: Jo Bird’s suspension was lifted on March 15, though apparently she was given a ‘warning’ – for telling jokes! 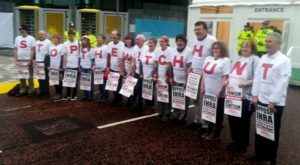 Labour Against the Witchhunt unreservedly condemns the suspension from the Labour Party of Jewish councillor for Bromborough Jo Bird. 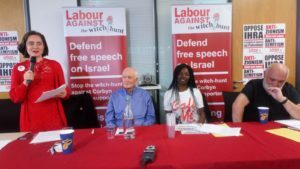 At a Justice4Marc meeting last year in Manchester (in solidarity with Marc Wadsworth) she made a light-hearted comment, stating: “Jewish Voice For Labour is calling for disciplinary hearings to be paused until a due process has been established, based on principles of natural justice. What I call Jew process”. Clearly, the context of that quote shows that her joke was not anti-Semitic at all – but the exact opposite. 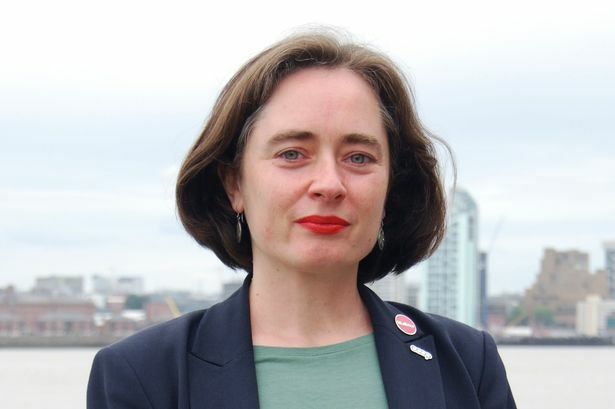 Coming so soon after the suspension of Chris Williamson MP on equally baseless grounds, we are concerned that the small positive reforms of the disciplinary process introduced by general secretary Jennie Formby have been rolled back. We are seeing the return of automatic suspensions, even before an investigation has started. And again, they are used almost exclusively against left-wing supporters of Corbyn. Tom Watson, Margaret Hodge, Joan Ryan and Louise Ellman on the other hand get away with insulting and undermining Jeremy Corbyn and the party without any consequence. This is clearly not a fair process. This is nonsense. Firstly, there is no hegemonic “Jewish community”. There are pro-Zionist Jews and there anti- or non-Zionist Jews – those like Jo Bird, Jackie Walker, Tony Greenstein and the thousands organised in groups like Jewish Voice for Labour, Jewish Socialist Group etc. They certainly do not feel “unsafe” in the Labour Party. It is a story spun by the right-wing in the Labour Party, in cahoots with non-Labour organisations like the Board of Deputies and the Israeli embassy – who are united in their desire to get rid of Jeremy Corbyn as leader of the Labour Party. We believe these recent, bad decisions of the Labour leadership are the direct consequence of the formation of the so-called The Independent Group. Eager to stop any more right-wingers from splitting from the party, the leadership is bending over backwards once more. We are even hearing that the reformed trigger ballots are being put on hold to avoid any challenges to sitting MPs –despite the fact that this policy was agreed at Labour Party conference 2018. But the last three and a half years show: Appeasement does not work. Every time the leadership takes a step back, the right makes two steps forward. 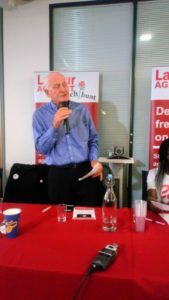 That moving apology became particularly poignant when 73-year-old Bob Walker, the youngest of the ‘Garston 3’, described how three disabled pensioners were expelled for merely attending a meeting of the Trade Unionist and Socialist Coalition – to discuss socialism. Gerry Tyrell, Tony Lock and Bob were rewarded for their tireless work of knocking on doors and delivering leaflets in all weathers during the 2017 general election campaign by being expelled. They were not told the names of their accusers or the evidence against them. Nor was there any hearing or right of appeal. LAW demands due process before any disciplinary sanction is taken. Ex-Liverpool councillor Tony Mulhearn called on Jeremy Corbyn and John McDonnell to stand up to the witch-hunters: “No more apologies, no more retreats. When you apologise, you are accepting you did something wrong.” He called out Andrew Marr for the bias he showed that morning while interviewing Corbyn, insistently cross-examining him about anti-Semitism allegations for more than 20 minutes. “Jeremy should have asked Marr who prepares such questions for him”, he said. Moreover, Corbyn should have asked: “Why don’t you show pictures of me on anti-racist demonstrations?” and “Why are Jews who support Jeremy never interviewed?” The smear campaign is “producing fear among Jewish people”, Mulhearn added. 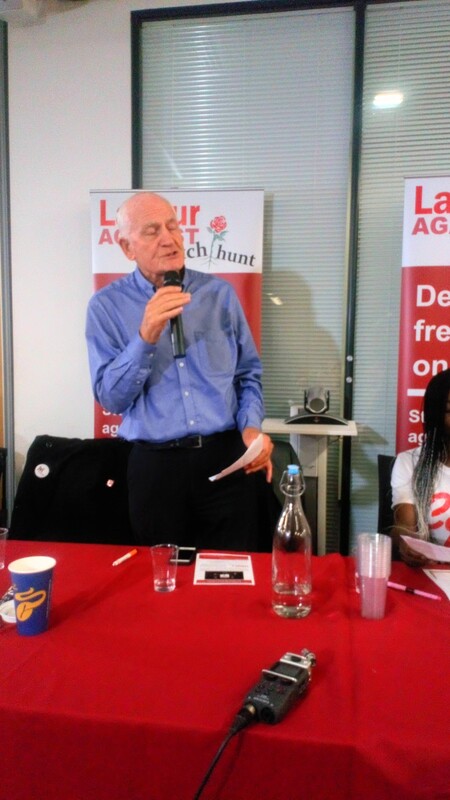 Tony Greenstein, expelled in February 2018, told us how he had also been suspended from the party in 1992 by then general secretary Larry Whitty, now a Lord – “well rewarded for services rendered to the capitalist state”, as comrade Mulhearn put it. 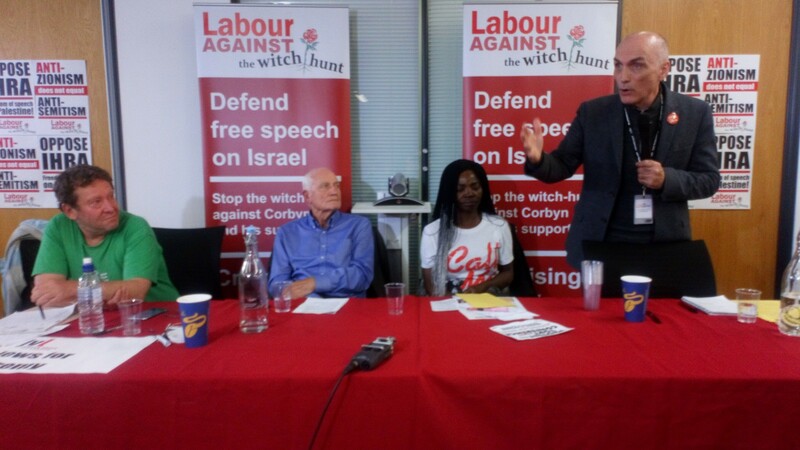 Comrade Greenstein emphasised that the witch-hunt is “not about anti-Semitism, it is about removing Corbyn as leader”. Chris Williamson MP, introduced by comrade Ndukwe as “one of the few MPs who is a true socialist”, confronted the IHRA definition of anti-Semitism adopted by the party, declaring that he often describes Israel as an apartheid state. He compared Israel’s treatment of Palestinians to the fate of the Cherokees in America. 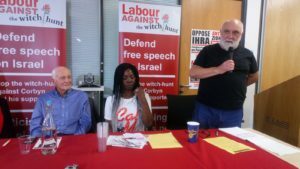 Denouncing the “terrible injustice” being done to Jackie Walker, he condemned the way Marc Wadsworth had been “demonised as a bigot” for merely “asking a question at a press conference”. 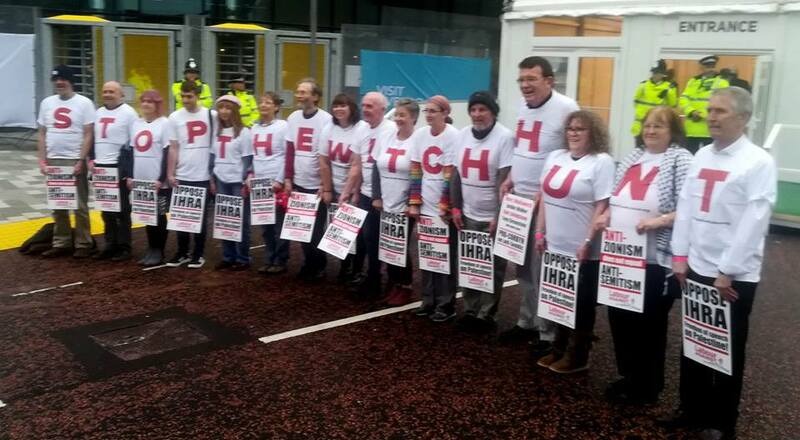 LAW has also been running a number of stalls in Liverpool, organised a successful emergency lobby of the NEC and the showing of Jackie Walker’s ‘The Lynching’ with actress Jo Martin taking over Jackie’s role.